Are you a dog owner that lives in an apartment building or maybe you work a lot of hours? Wouldn’t it be nice to have a way for your dog to use the bathroom without then using the floor to do so? Did you know that there is a product just for dog owners in that situation. It is called the Pet Loo Indoor Dog Toilet; this product is available for both small dogs and larger dogs. The Pet Loo comes in 25″ and 32.75″ x 32.7″. This indoor toilet was designed and created to help dogs use the bathroom when they can’t get outside. You may be wondering where the urine goes as the dogs go. The Pet Loo has a urine drainage system that is simple to clean and easy to get rid of. This is not some Wee Wee Pad but an advanced toilet system for your dog. Some of the features of this dog toilet is that it will fit anywhere such as the Patio, Balcony, Laundry Room, Garage, Backyard or your deck. Now you won’t have to clean up any floors or carpets. The Pet Loo is hygienic for the dogs and for family members. This product is designed to last a lifetime, as long as you empty it on a daily basis and keep care of it. 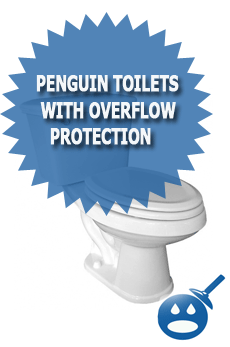 This Pet Loo is perfect for apartments, condos, townhouses, homes, boats, RV’s or trailers. These indoor toilets for dogs are a great way to avoid going outside when it is raining, snowing or even icy. This may seem like an expense that you don’t need. The Pet Loo costs about $240.00 but it does have its advantages like we mentioned. But if you are the type of person who doesn’t mind taking the dog for a walk in the cold weather then you could be saving money. 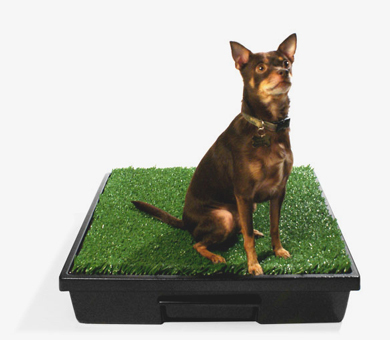 The Pet Loo comes with the Pet Loo Synthetic Grass, this grass is soft enough to make your dog comfortable when using the Pet Loo. It will last for up to a year and even looks like real grass. 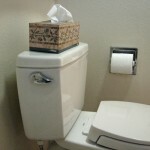 When cleaning, it is very important to make sure that you flush completely with water. It has an organic odor to it so it won’t smell. Along side the Pet Loo, you should buy the Smell U Lator organic spray. This neutralizes smells and gets rid of odor, it also kills bacteria too. If you want to make it easier to clean there is a Handy Doody Waste Rake Pooper Scooper. Now you can clean the Pet Loo without complaints. You can find all of these products online. If you want to make your life easier on your self and your small or large dog then try the Pet Loo Indoor Dog Toilet. Are you looking for that perfect gift for the dog lover in your life? We have the perfect idea for you, the Dog Toilet Water Bowl. These novelty dog water bowls are actually shaped like a small toilet bowl. If your dog prefers to drink from the toilet bowl rather than a water bowl then this is perfect for them too. It of course is not a real toilet, it will not flush but it looks like a toilet bowl complete with the flush handle. You simply fill up the tank by filling up an old soda bottle with water and then place upside down and watch the water fill into the dog toilet bowl. Now Spot will feel like he is drinking out of the toilet bowl. This way of giving your dog water is clean and there are no bowls to knock over. You can keep this dog toilet water bowl in the kitchen or in the bathroom. These dog toilet bowls are made of a glazed ceramic, these bowls measure in around 12 inches in width x 6-3/8 inches in diameter x 10-3/8 inches in height. They are the perfect height for small dogs and there are larger sizes for larger dogs. 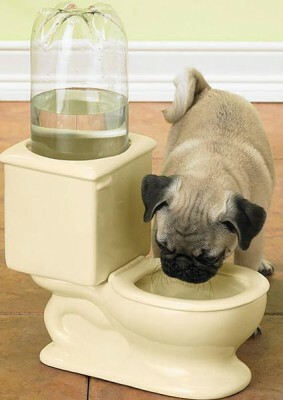 Now your doggy has a place to drink their water and it looks like a real toilet bowl. If you are looking to provide a comfortable place for your dog to drink water and use the bathroom when no one is home then purchase the Pet Loo Indoor Dog Toilet and the Dog Toilet Water Bowl. Now your dog can have the comforts of outside and the benefits of drinking out of the bowl when you are not home. These dog toilet bowls are very inexpensive, they are priced around $15.00 and you can find them online. These dog toilet bowls are easy to clean and easy to take care of. Do not use chemicals to clean; simply use a clean wipe cloth to maintain. These make great gifts for the dog lovers and they make great additions to your own home as well. Do some shopping around and see if these dog toilet water bowls is what you are working for. You may be able to find them in your local novelty stores. If you know someone with a birthday coming up or perhaps a holiday gift, get the gift that keeps on giving. Where can I locate the toilet drinking bowl?